This section refers to the APT process, Similar points apply when using the Doubler process, but only one Pro Tools track is captured. 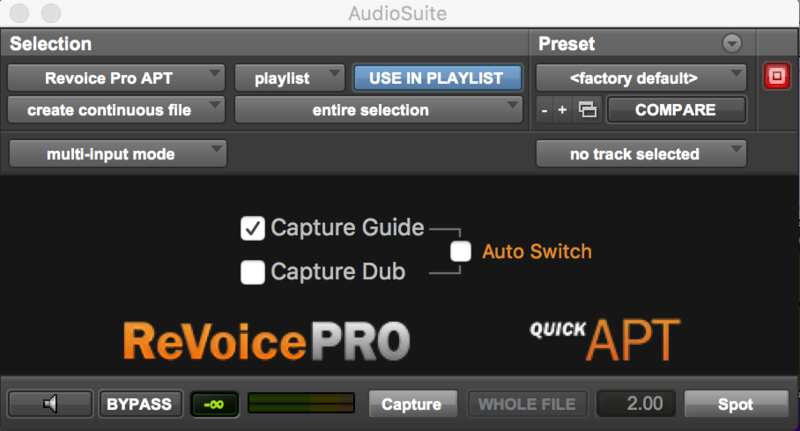 When the Revoice Pro APT plug-in is selected from the Pro Tools Audio Suite menu, it will appear as shown below. Select the audio in Pro Tools to be used as the Guide (if you haven't already done so) as shown below. With the Quick APT Capture Guide tick box selected, press the APT plug-in Capture button at the bottom of the plug-in window. 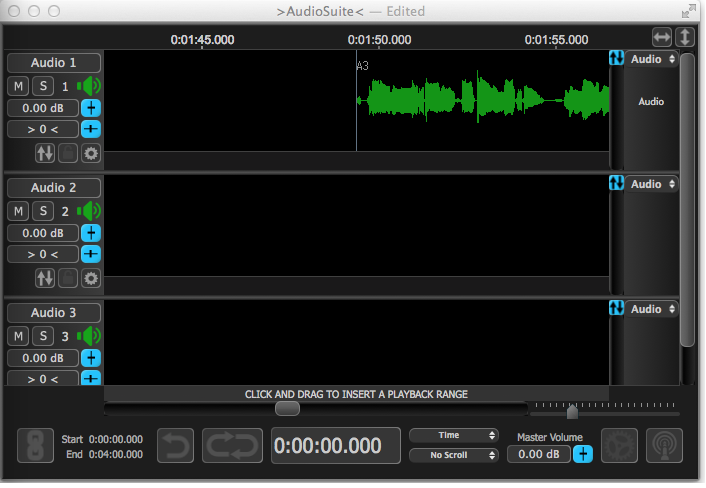 This will send the selected audio to the Revoice Pro Session (shown below - but which can remain hidden if desired). 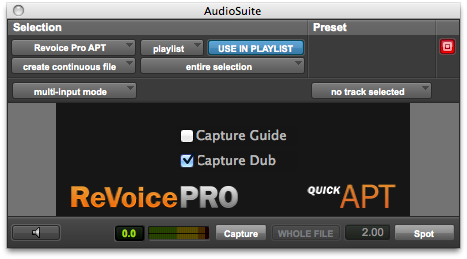 If Auto Switch is enabled in the APT Plug-in window the Capture Dub tick box will be automatically selected. The selected audio will be loaded in the Dub track of the Revoice Pro Session (which can remain hidden if desired). Any existing audio in the Dub track will be removed. An APT process is created. This process is created using the APT settings you last saved in the APT Control panel using the "Save As User Default Preset" command.